You can have your cake, and eat it, too! It is possible to easily fit the classic keyboard into xx30 series chassis. All keyboards from the xx20 series are compatible. Refer here for the list of suitable FRUs. The first columns is ALPS keyboard (generally regarded as the worst), the second row is Chicony (regarded as good) and the third row is NMB (regarded at the best). The differences between Chicony and NMB are most likely minor. There are some FRUs that are not on the list, but still are genuine xx20 keyboards. If you can find some forum posts in a search engine with that FRU, it's most likely legit. xx20 and xx30 keyboard pinouts are slightly different, so first thing you need to do is to isolate pins #25 and #29 (grab a schematic to see where they are). The reason for it is that in xx30 keyboard these pins are separated, but in xx20 one they are connected all together, shorting VCC5M_KBD (pin #25) to ground through the keyboard cable. I disassembled the keyboard and covered #25, #27 and #29 with adhesive tape (#27 is redundant since it's connected directly to ground on the motherboard). Plastic cover on the top can be easily removed, allowing to access internal keyboard connector. Ignoring this thing will cause keyboard overheating and damage. Some people have done the keyboard replacement without this protective mod - and not reported any issues, even after years of use. Further investigations on three keyboards shows that the over-current condition described above quickly lead to the same failure each time - a small burnout on the keyboard just after the retaining bar (see circled area on photo below). This burnout has had the effect of removing the short circuit and stopping any other issues. Unless you also reflash the Embedded Controller firmware, some keys won't be detected at all and others will have different functions. All Fn commands will be the original ones (listed on the xx30 keyboard) instead of those shown on the xx20 keyboard. The xx20 keyboard is printed to have Fn+PageUp activate the Thinklight. However, because this action is actually bound to Fn+Space on the xx30 keyboard, you will need to press Fn+Space to activate the ThinkLight after installing the xx20 keyboard. Fn+F8 does not toggle the TrackPoint/touchpad input, it actually dims the brightness. Fn+F4 makes the computer sleep, as that is the combo on both keyboards. It is possible to modify the Embedded Controller to enable all these keys and switch (most of) the Fn commands around. However, it is important to be aware that flashing the Embedded Controller is a critical process and if something goes wrong, you could end up with a bricked laptop. On a more positive note, during the development of these modifications, no X230 laptops were bricked and there were never any problems or failures. A full table of keys and their compatibility is listed below. DNF means Does Not Function. Menu PrtScr Menu This key is actually PrtScr on the T430 keyboard, and functions as such when the T410 keyboard is installed. Because of this, there is no Menu key. For me, it appears that this causes the Menu Key to turn on and off at will. Please see this section for more detail. TrackPoint/left/middle/right All work All work The TrackPoint works perfectly on the X230. It should work on the T430, but wasn't tested; the original author's T430 had soda spilled on it, shorting out his TrackPoint socket. Fn+F12 (Next track) Labelled as "Hibernate", does nothing does nothing It is theoretically possible that this key could be made to work. Fr technical reasons, it was considered risky to make this change - and hopefully a little used key. Remove and unplug the original palmrest. Install and plug in the X220 palmrest, but do not screw it down. Insert they keyboard while the palmrest is tilted slightly upwards. Then, lower both the keyboard and the palmrest into position and reinstall all the screws. If you have removed the plastic tabs as per the image guide by lightproof, you can omit the third step. The keyboard will fit just as if it was X220. One of the keyboard screws might just spin in place, since it can't reach the screw hole. In that case, just push the keyboard downwards a little bit, while turning your screwdriver at the same time. Other xx20 palmrests do not fit the xx30 chassis properly, thus this method won't work for them. Along the bottom edge of the T430 keyboard are four small nubs that fit into place along four idents in the chassis. These nubs help secure the keyboard into place, and make sure it is aligned correctly. The classic keyboard, however, has five nubs - and they're much thicker. 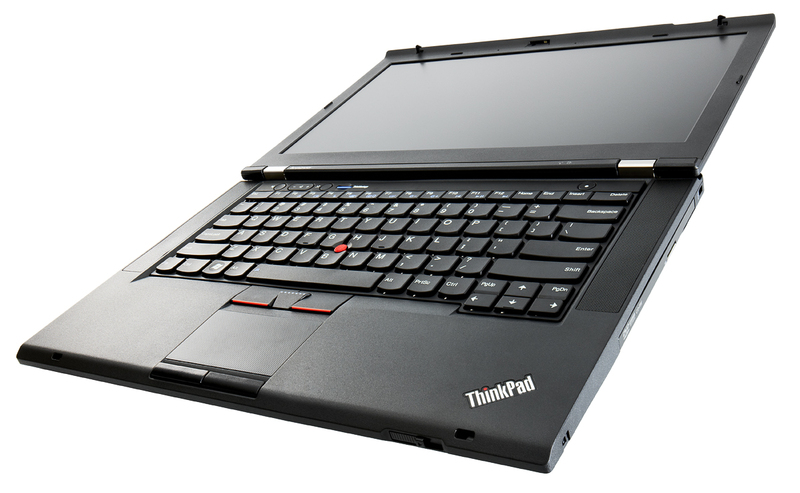 Whereas the T430 nubs are only extensions of the metal plate covering the back of the keyboard, the classic nubs actually extend upwards and fit the entire thickness of the keyboard. The classic's fifth nub is located under the TrackPoint keys. A solution is to cut/sand down the extra nub and flatten/sand down the remaining ones to fit into the xx30 palmrest. This allows the keyboard to remain in it's original state (minus the tape on the connectors, but that can be easily reversed). Simply make the holes that are intended for the keyboard nubs bigger (both in width and height). Be careful when it comes to height, as you may simply pierce the top layer of the plastic, exposing the holes. This will most likely be less visually impressive than the 2nd method, unless you do it very precisely. Full details on how to create and apply the patch are included in the README of the git repository at https://github.com/hamishcoleman/thinkpad-ec. It is the most up-to-date source for instructions and files. It is best to use the git repository to build patched images, however the this method can also be used. Keep in mind that there shouldn't be a big version difference between your current BIOS and the BIOS from the .iso. The ISO patches linked above are text files with hexdumps showing the diff between the original and the patched version of the file. They can actually be applied by hand using a hex editor - if needed - but that would be quite tedious as they are a little large. An even better option is to use the git repo to fully automate the building of a bootable USB disk image - just read the README in the repo for the details. If you don't want to reflash the EC firmware, you can still use the keyboard reasonably well, however not all of the keys work correctly, as detailed in the Keymap Table. However, if a key performs an action, that action can be rebound on a system-wide level to any other action. This can be done using udev keymap. I don't use Linux, and so I won't provide instructions for that here, but that page should give all the information you need to get it working, along with the Keymap Table's stock remaps. Note that keys that are labelled DNF will never work - this is a BIOS-level issue and no operating system tweaks will fix it. On Windows, we can use a nifty program called SharpKeys to rebind keys. The program is creates a registry entry in order to remap. Despite the fact that it is portable and does not run upon starting the machine, I suggest you keep the application handy in case Windows overwrites the remap key - this has only happened a few times for me while tweaking things, but it's enough reason to keep the 500kb application installed. Once you've installed SharpKeys, add four remaps corresponding to the ones on the right, and then click "Write to Registry". Log out of Windows, and when you log back in, your PgUp, Delete, and PgDown keys should be functioning as normal. The last remap in SharpKeys, Unknown > Turn Key Off, corresponds to disabling the Menu key (key 0x0075). Without this entry, my keyboard was making all left clicks act as though the Menu key was being held down. You may not need this entry, but if you do, be sure to add it. I believe this stems from the fact that there is no Menu Key on the T430 keyboard, but I'm not sure why it was constantly signalling itself as on.